Together we are stronger than lupus. The Lupus Alliance of Upstate New York is thrilled to have D’Amber Pounds as this year’s Walk Chair. D’Amber and LAUNY invite you to bring your family and friends and tell your co-workers about LUPUS WALK 2019. New features, same great cause! LAUNY continues to enhance the walk experience based on new ideas and feedback from last year. The Crossings at Colonie is the site of this year’s walk, at the South Pavilion. No more competing with church. No more having to get out of bed at the crack of dawn to check in on time. This Sunday event is in the afternoon, making it the perfect time for family. Register by May 13th and you will automatically receive a NENY LUPUS WALK 2019 t-shirt. Order the size you want in your online registration or through your walk brochure. Sorry, only those registrations received in the LAUNY office by May 13th are eligible. Immediately following the walk, we’ll gather at the South Pavilion for a post-walk party. There will be food, music, a prize raffle, and plenty of time to celebrate our heroes and helpers. By supporting LUPUS WALK 2019, you are providing programs and support for those affected by lupus and related autoimmune diseases throughout Northeastern New York. Did you know? 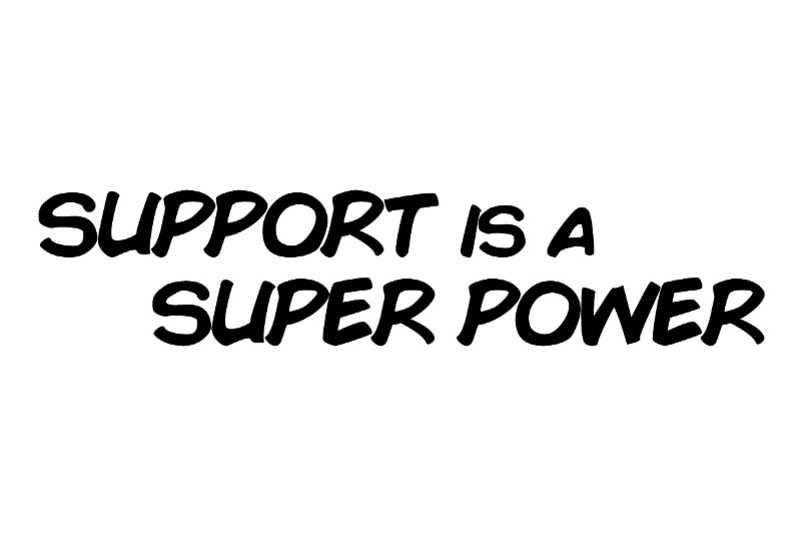 Support is a super power! *Walk t-shirts are available for free to any adult registering by May 13th. Sizes cannot be guaranteed for T-shirts earned after May 13th. PLEASE NOTE! To be counted towards your team total, use your GiveGab campaign page. We encourage you to share this link on Facebook, but do not start a Facebook fundraiser. Using Facebook donate buttons prevents LAUNY from receiving your donations until several weeks later and they are received as anonymous gifts, with no way for the funds to be credited to an individual or team. If you have questions, please call the office at (800) 300-4198, Ext. 2. Post-walk party immediately following the walk at the South Pavilion!